A chilling and vividly rendered ghost story set in postwar Britain, by the best-selling and award-winning author of The Night Watch and Fingersmith. 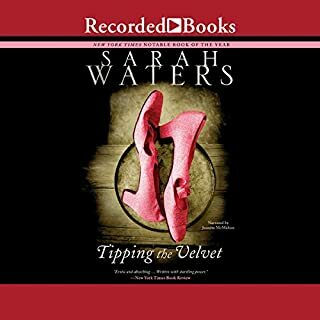 Sarah Waters's trilogy of Victorian novels Tipping the Velvet, Affinity, and Fingersmith earned her legions of fans around the world, a number of awards, and a reputation as one of today's most gifted historical novelists. 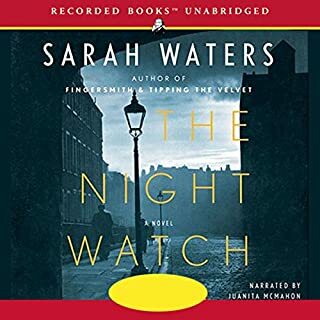 With her most recent book, The Night Watch, Waters turned to the 1940s and delivered a tender and intricate novel of relationships that brought her the greatest success she has achieved so far. 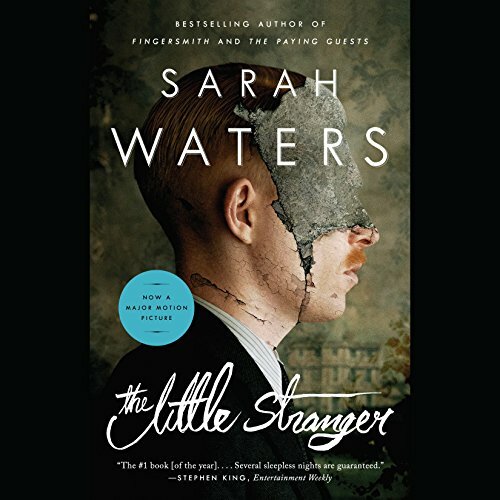 The Little Stranger follows the strange adventures of Dr. Faraday, the son of a maid who has built a life of quiet respectability as a country doctor. One dusty postwar summer in his home of rural Warwickshire, he is called to a patient at Hundreds Hall. Home to the Ayres family for more than two centuries, the Georgian house, once grand and handsome, is now in decline - its masonry crumbling, its gardens choked with weeds, the clock in its stable yard permanently fixed at 20 to nine. But are the Ayreses haunted by something more ominous than a dying way of life? Little does Dr. Faraday know how closely, and how terrifyingly, their story is about to become entwined with his. The postwar era wasn't generally a good time for the "great houses" of England or the noble families that lived in them. Brothers, sons, and tenant farmers were lost or injured; cash flow lessened accordingly. Wartime rationing lasted much longer in Britain after WWII, until 1950, making it hard to throw a grand party. Servants were hard to find, since many young people began to opt instead for the higher pay (and less classist treatment) of factory jobs. The Little Stranger is nominally a ghost story: one of the "ghosts" is the old way of life. So if you're looking for a Stephen King-style scarefest, this isn't it. The Little Stranger is a creepy, modern gothic tale, in the tradition of The Woman in White or Rebecca, with perhaps a bit of Wuthering Heights thrown in. Just after WWII, Dr. Faraday has his own practice in the English countryside, near where he grew up. His patients are ordinary country people, but the great house of his district, Hundreds Hall, has long held his imagination. When he is called to the house to examine a servant, Betty, he's sad to find circumstances much reduced. The house has just three residents--the Widow Ayres and her son and daughter--and Betty is the only servant left. Still curious about the house, he tends to Betty and then has tea with the Ayreses. So begins a friendship that might have been better left unforged. As things go bad over the course of the following year, Dr. Faraday tells us of a house that's as expensive and troublesome as it is grand. In fact, it seems to be less than fond of its residents--and it's got a mind of its own. This is not a fast-paced story. Instead, tensions build as Dr. Faraday describes the terrible events at Hundreds Hall. We hear a great deal about how helpful he is: Mrs. Ayres, in particular, is constantly mentioning how wonderful he's been to the family, and how much she values his friendship as he makes tough decisions on their behalf. No shrouded figures are seen; no skeletons dance in the drawing room, and no monsters are hiding under the beds. But I have to say that the end of this story is one of the most chilling I've read recently--and that's coming from somebody who reads a lot of scary stuff! 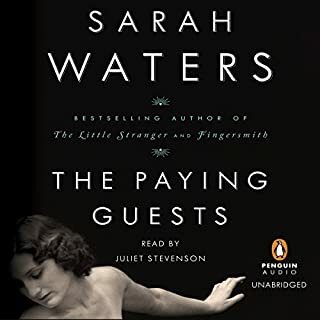 Highly recommended for fans of the Victorian Gothic genre: The Little Stranger has everything you're craving and more. Listening to this book reminded me of riding a train with frequent local stops. No sooner do you seem to get moving when the train halts at a station. You sit there while people get on and off the train and thing happen at the station. Eventually the train gets underway again, but in no time pulls into another station. Fifteen hours later, at a station just like all the rest, the conductor announces, "End of the line; everybody off the train!" And there you are: surprised at the journey's end, because you really haven't gotten anywhere. 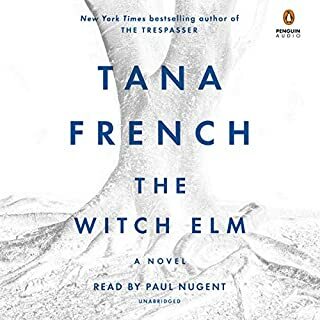 The writing was stellar, the characters intriguing, the setting unsettling, the narration excellent--but I think because of the frequent and apparently important interjection of apparently preternatural occurences, the ending of the book seems abrupt and unsatisfying. 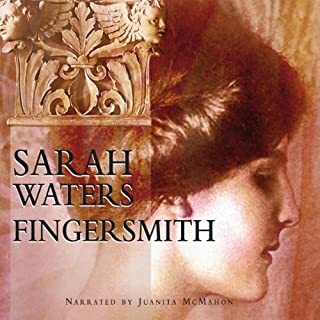 A leisurely pleasant start to this book, for me the equivalent of turning on the TV and seeing the opening credits of a black-and-white movie made in Britain circa WWII: an old manor house looms into view, cut to interior, a young woman looking out the window as rain pelts the glass. BTW, this is not a scene from the book or from any particular movie. It's meant more to describe the feelings such a beginning evokes in me. From the first words (read wonderfully by Simon Vance), I wanted to brew a pot of tea and butter some toast before retreating to an overstuffed chair in front of a glowing fireplace to enjoy this subtly eerie tale. This is a great book. People who say it "isn't much" and who didn't like the ending were I'm afraid not too perceptive. Perhaps they didn't notice that the narrator was unreliable, or didn't perceive the theme of class in the UK, they just thought it was a ghost story where the ghost isn't identified finally. I loved it! Get it! great narration too from Simon Vance, as usual. I enjoyed the protagonist's gloomy imperfection, his thought process, his worries, and the quirky details of his old-timey medical practice. I loved that one of the female characters is homely, and how her homeliness was experienced by the protagonist. However it was the mystery of the house.. the reason behind the bizarre goings-on that make this book outstanding. The author's inspired idea for this, and her unhurried reveal made me want to stand up and clap. A fascinating book, but it is indeed strange. This is a gothic mystery set right after WW II in countryside England. The story is compelling and the reading is top notch. Don't expect a fast pace, but it is a story that you get sucked right into. Great storytelling! This book drew me in slowly and kept me wondering what was really happening to Roderick Ayres, the master of Hundreds Hall. Was he really being haunted by a ghost, was he going mad, or was it something even more sinister than that? The characters in this book could be considered dry, but the author did a great job at keeping my interest in the story and characters. The narrator also did a good job and helped to bring this story to life. The book reminded me a bit of "Angelica" by Arthur Phillips and "The Thirteenth Tale" by Diane Setterfield. If you enjoyed either of these books, you will probably enjoy this one as well. If you like historical novels wrapped in a great ghost story, then this book is for you. The writing is superb, the characters are good, and Simon Vance pulls it all together. Just don't listen if you are alone at night. Give the reader something to work with. I love Simon Vance, but this isn't his fault. What character would you cut from The Little Stranger? This is an unfair question. All of the characters, with the exception of the dog, should be left out. Nope. I wish I read this book when I first bought it, so I could get my credit back. I gave this book three stars, which I give to average books. This was not memorable, but while being read (or listened) was entertaining. There were no elegant twists of plot, no surprises of character definition, and the conclusion was just an end. I didn't find it filled with fright or particularly suspenseful, but fairly predictable. 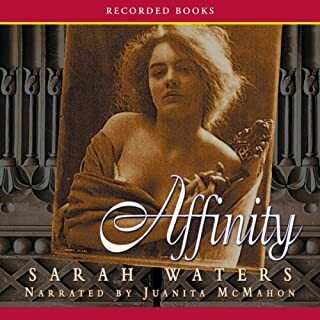 I did like the narration, and the author's 19th century delivery. This bland review is appropriate for this bland book.